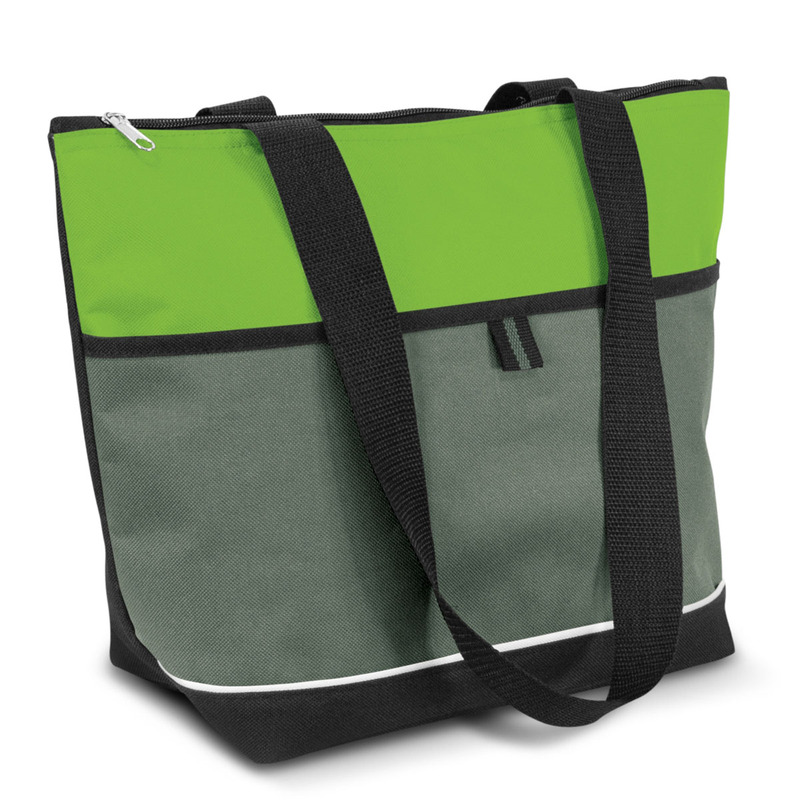 A smart looking personal cooler that's perfect for lunch, drinks and more! These modern cooler bags come in a fantastic colour range and include a number of small touches that come together to complete the look. They have a large 13L capacity and utilise a PE foam insulation encased in a waterproof PEVA inner liner. 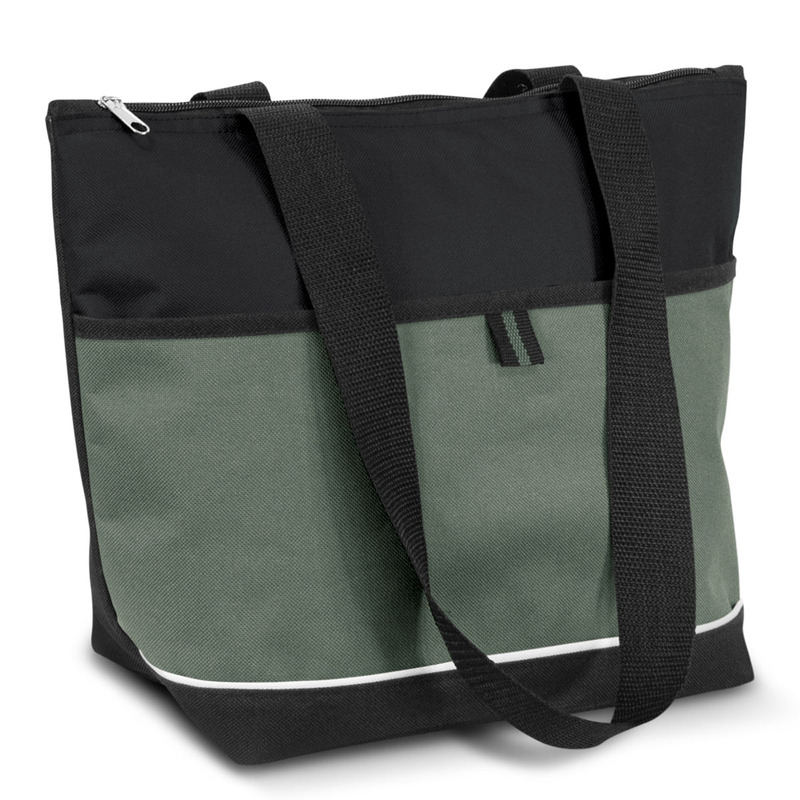 The outer construction is made from 600D polyester with a base gusset for added capacity. 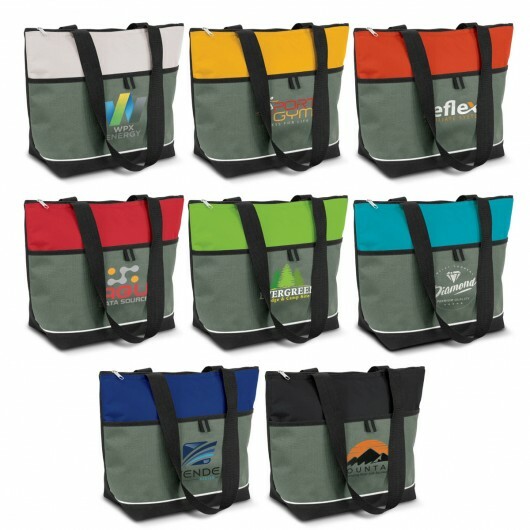 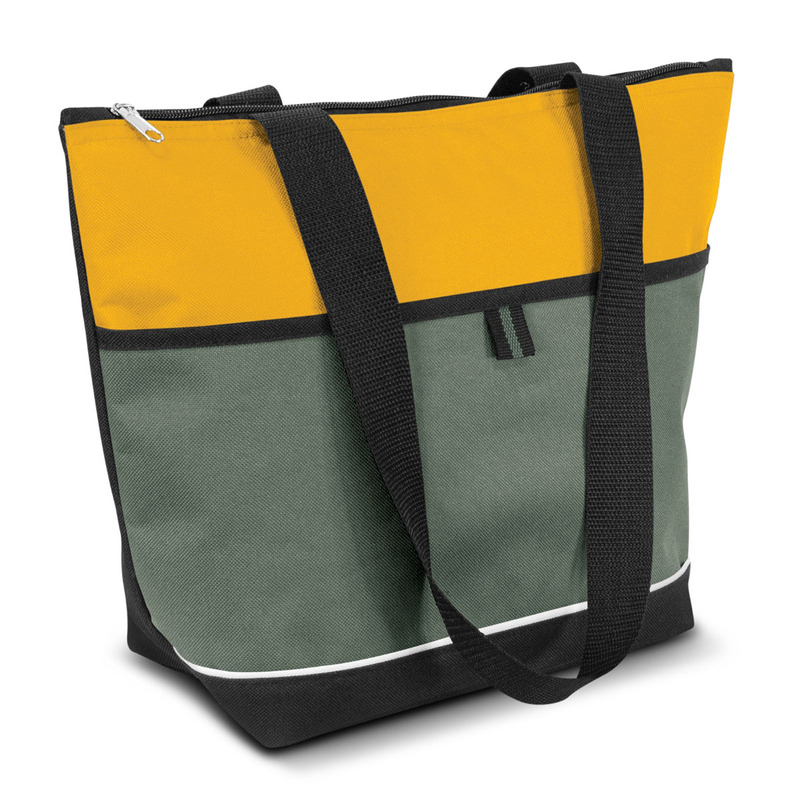 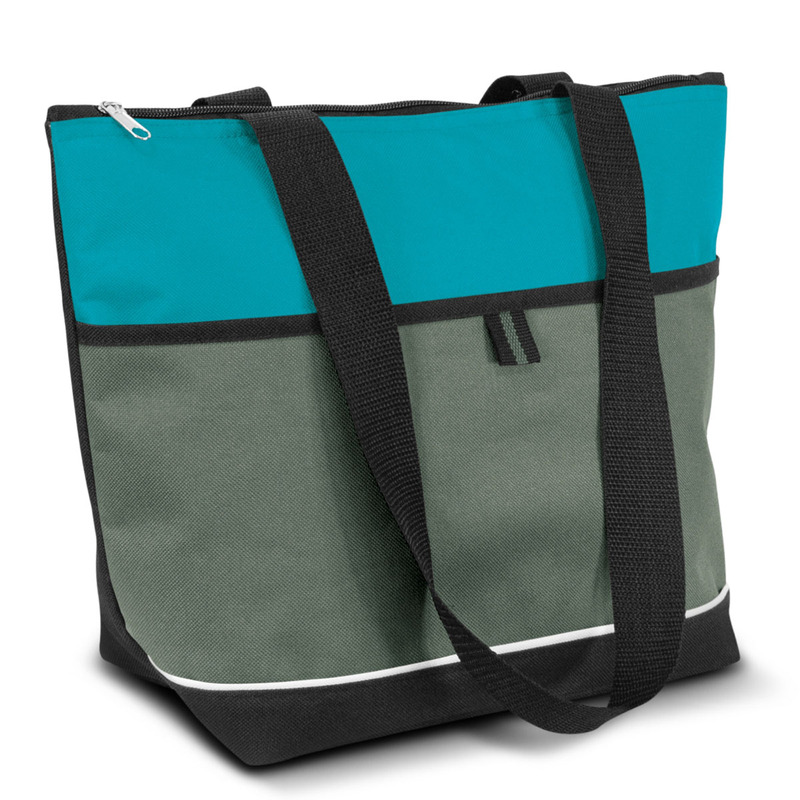 Other features include long woven carry handles, a large slip pocket on the front and a zippered top closure. Dimensions H 280mm x W 380mm x Gusset 130mm (excludes handles) Handle Length: 640mm.